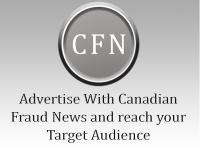 A man purporting to be a major construction executive, who has been lobbying in Ottawa against the $1.5-billion sale of Canadian infrastructure firm Aecon Group Inc. to a Chinese state-owned enterprise, has convictions for fraud and perjury and is facing new charges of fraud. Michael Wilfred Beattie, who says he is an independently wealthy owner of a construction company with 145 employees, had been shepherded to meetings with federal politicians, regulators, and media by a well-known law firm and lobbyists. But sources say the Toronto law firm Goodmans LLP dropped Mr. Beattie on Monday after being informed of the criminal charges and convictions by The Globe and Mail. The takeover of Aecon had already been opposed by three domestic heavyweights – EllisDon Corp., Ledcor Group, and P.W. Graham & Sons Construction as well as the 20,000-member Canadian Construction Association – when Mr. Beattie began to publicly speak out as an opponent. Goodmans and two well-known lobbying firms – Navigator and Ensight Canada – represented Mr. Beattie as a legitimate construction player in the corridors of power and to The Globe. However, court documents obtained by The Globe reveal that Mr. Beattie, 52, does not appear to own any construction businesses and has a record of run-ins with the law. He was arrested and charged in May, 2016, with fraud over $5,000; laundering the proceeds of crime, and possessing property obtained by crime. The alleged offence took place while Mr. Beattie was the manager of roads and fleet in the public works department of the town of Caledon, north of Toronto. His lawyer at Goodmans, Grant McGlaughlin, last Thursday denied that his client was the man who was charged. However, three sources who know Mr. Beattie have confirmed that he is the individual who was charged and that he lives at the address on the court document with his partner, Rebecca Wilmot. His next court appearance is in March. Mr. Beattie was also convicted of fraud and perjury charges in 1993 in Quebec’s Eastern Townships, according to court records. He was sentenced to one year in jail and two years of probation after pleading guilty to one count of fraud and three counts of perjury. Mr. Beattie did not return e-mails or phone calls from The Globe seeking his response to the criminal charges and convictions or the nature of his alleged construction business. Neither Goodmans nor Mr. McGlaughlin, who co-heads the law firm’s mining and natural resources legal team, responded to requests to explain why they are representing a man who has a criminal record and does not appear to own any construction businesses. A source told The Globe that Goodmans, which does not comment on its clients, informed Mr. Beattie on Monday that the law firm will no longer represent him. Navigator and Ensight, which are part of the same group of companies, also did not respond to questions posed by The Globe. A source said that Mr. Beattie has been paying his bills to the firms representing him. Aecon raised questions about Mr. Beattie’s credibility on Friday after he criticized the Chinese takeover in a Globe story last week. Mr. Beattie and his lawyer, Mr. McGlaughlin, recently met Conservative and NDP MPs and Investment Canada, the division of the Innovation department that reviews foreign takeovers. Federal records show four lobbyists have registered with Ottawa on behalf of Mr. Beattie and MBM Investment Corp. to discuss China with policy-makers including at Global Affairs, the House of Commons, Innovation Canada and the Prime Minister’s Office. The lobbyists include former CBC broadcaster Don Newman, now with Ensight Canada, Andrew Balfour and Andrew Galloro from Navigator, and Joseph Belan, a Swiss-based Canadian businessman. A source said Mr. Beatty also met with federal regulators at Investment Canada which is currently reviewing the takeover. Read the original story over at the Globe and Mail.